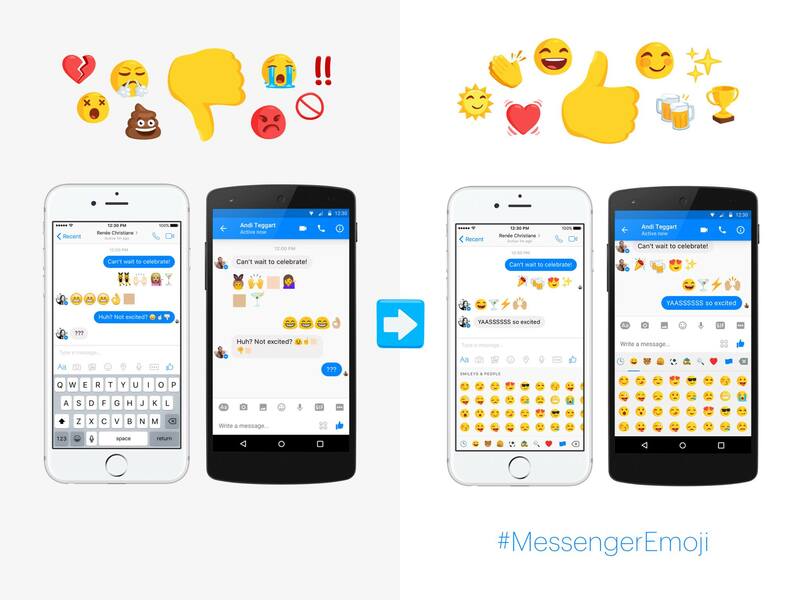 An update for Facebook Messenger is completely revamping the emoji experience inside of the communication app, but it’s not just the addition of new emoji that has people excited. According to Facebook, 10% of all messages sent via Messenger include emoji, and considering how many messages are likely sent on the service, that’s a crap ton of emoji. Inside of the update, FB is bringing 1,500 newly designed emoji to public, including gender-agnostic options and multi-colored emojis. For multi-colored emoji users, they will get to determine the skin tone they prefer, including dark, pale, or The Simpson’s yellow. For those who prefer female emoji, an entire set of emoji catered for ladies is also available, including a female police officer, female runner, and others. However, probably most importantly, FB is rolling out a new emoji standard for all users (iOS included), which means no one will be confused by that odd looking smiley face from iPhone users anymore. All emojis, regardless of platform, should look the same. No more emoji confusion! This also includes the times when you are sent an emoji, but your system does not recognize it, leaving you with a blank box. FB wants to cut that experience out completely. According to FB’s announcement, “From skin tones that you can choose to lots of women in great roles, Messenger is beginning to make emojis more representative of the world we live in.” I should have known the day would soon come when emoji rose up and fought for equality. Personally, I’m all for it. 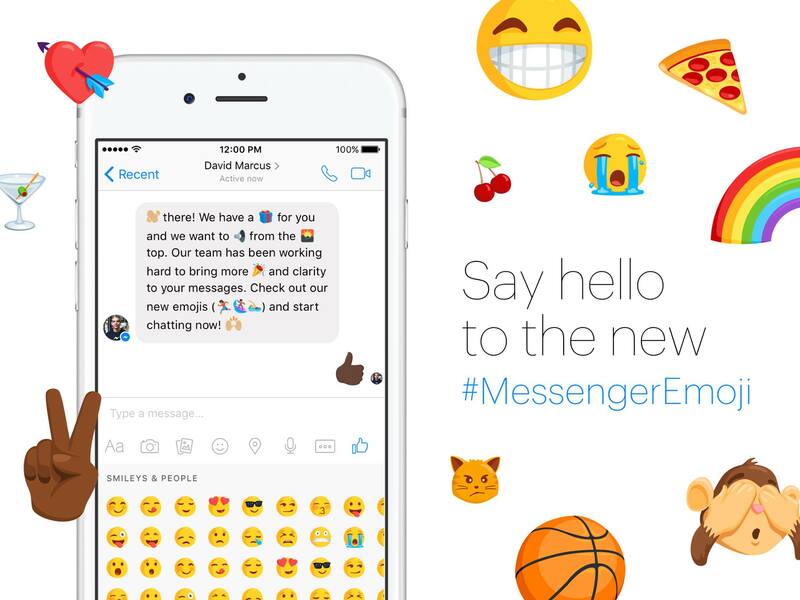 This huge emoji update will begin rolling out tomorrow for all Android users.